I’m proud to welcome you to ThinkDope! We are a team made up of industry professionals, called The Council, and we aim at helping aspiring creatives make all kinds of art! We plan to help by providing free inspirational and educational content such as tutorials, guides, interviews with industry professionals, features on successful creatives, art inspiration, and more. I’m Garett Southerton and I’ve founded ThinkDope for the sole purpose of helping others create. My team is made up of other professionals and aspiring creatives; Iain Meddicks, Julian Keaton, Juelz, and Ken Walsh, and they share the same vision of helping people create art. We believe that art has the ability to change the world and bring people together and ThinkDope is the community to do just so! Our inspirational and educational content will feature tutorials, guides, walkthroughs, interviews, features, lessons from personal experience, recommended tools, showcases of others’ art, and inspirational quotes/tweets from all different forms of art including but not limited to music, web/mobile design & development, photography, videography, illustration & graphic design, drawings, paintings, sculptures, performing arts, podcasts, audio editing, tattoos, culinary art, literature, coding, cosplay, movie makeup, and more. We also cover non-direct art categories with entrepreneurial and tech-related content that affect creatives positively. Our content goal is to make sure at least one of these types of content is posted daily. How can we provide all this for free and without banner advertising? We’ve decided not to use banner advertising like most sites because they are obtrusive, distracting, and ruin a reader’s experience. Our goal with ThinkDope is not to make money, but rather help bring a community together through art. In order to support the costs of running ThinkDope, like hosting and promotion, we have chose to use affiliate links and sponsorships because they blend into content in an unobtrusive way that can actually benefit our readers. Simply put affiliate links give us a small commission based on someone buying through our links and sponsorships are given on a fee per post basis or inclusion of affiliate links. 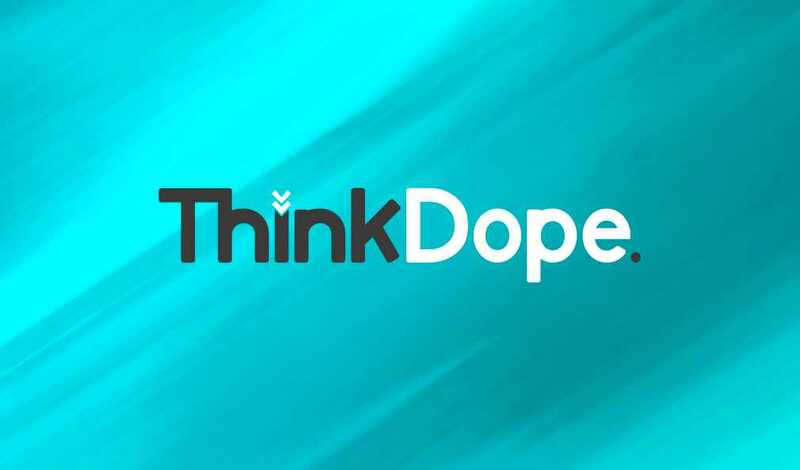 However, sponsorships will be mostly made up of the businesses and projects of the ThinkDope staff to thank them for their hard work and contributions. We promise to never sponsor or link to a product, company, or art piece we don’t actually approve of, regardless of the incentive offered to us. Also neither affiliate links or sponsorships will ever affect your experience or purchasing in a negative way. In rare cases, where noted, affiliate links or sponsors may actually offer discounts or special offers to our audience! Our audience has nothing to lose and everything to gain going forward in this route! If you’re interested you can read a bit more on our affiliate marketing & sponsorship practices. As I’ve said before, ThinkDope is a community! Please don’t hesitate to comment on posts or contact us with your opinions and what you would like to see here. If you’re having trouble understanding a concept, have something you’d like us to explain, seen something on our social media pages you’d like a tutorial on, etc. just let us know. That goes for your art as well! If you have a piece you think is inspirational or an icon set, font, plugin, etc. you’re giving away – we want you to submit it! If you know someone else that’s talented let us know about them. We thank you for visiting us today and hope you will enjoy the content we provide! We also hope that you’ll continue to visit us and be an active part of our community! P.S. Let us know what you think of the site, but remember to view it in a real web browser (one that’s not named Internet Explorer)! And yeah it looks great on your mobile devices!